You can rewrite the text on the rating survey to your local language. It's a very simple change which you can do in the "Appearance settings" of every rating page. 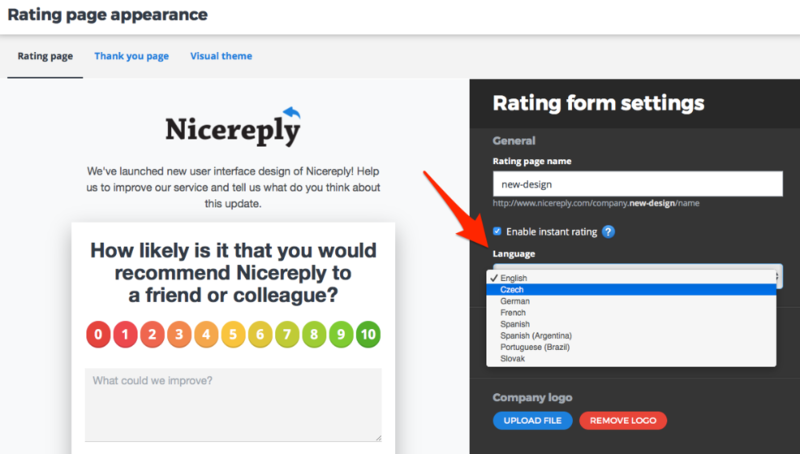 Navigate to NPS -> Rating pages -> Appearance. NPS uses a standard question therefore we predefined following languages for you: English, Czech, German, French, Spanish, Spanish (Argentina), Portuguese (Brazil) and Slovak. 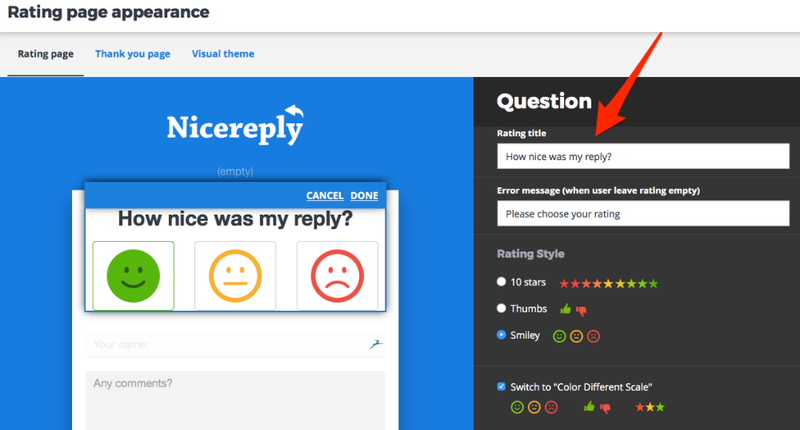 If you are missing your language, get in touch with on at contact@nicereply.com.